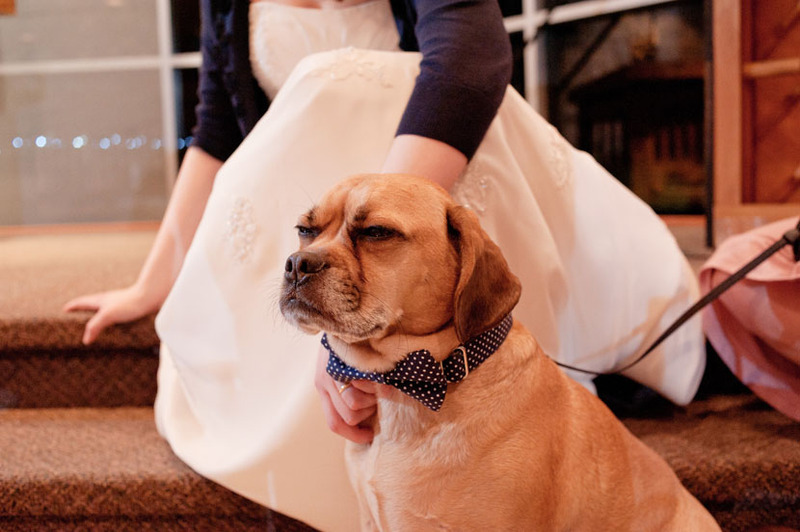 One: Don’t give your pup too big of a role in the wedding. 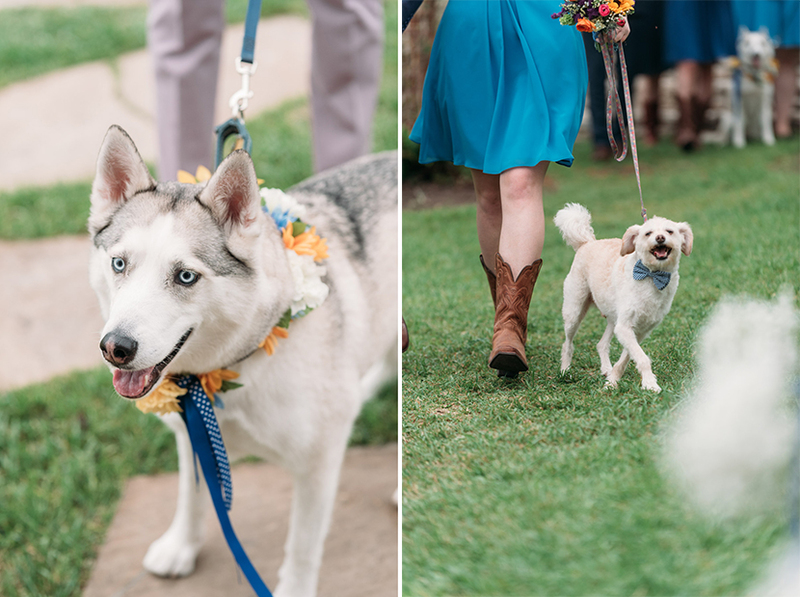 Keep it limited to best dog (aka an attendant who is with you in photos looking dapper af in a bowtie) or ring bearer (aka an attendant walks your dog down the aisle to you). 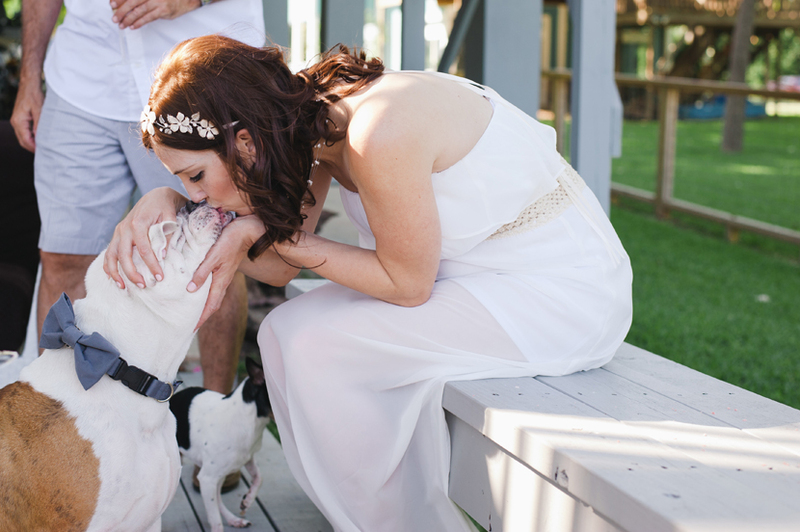 If your pup is holding your rings, be sure to have those firmly attached. I was a guest at a wedding where the ring bearer did one of those after-puddle drying-off shakes, and the rings flew into the grass. 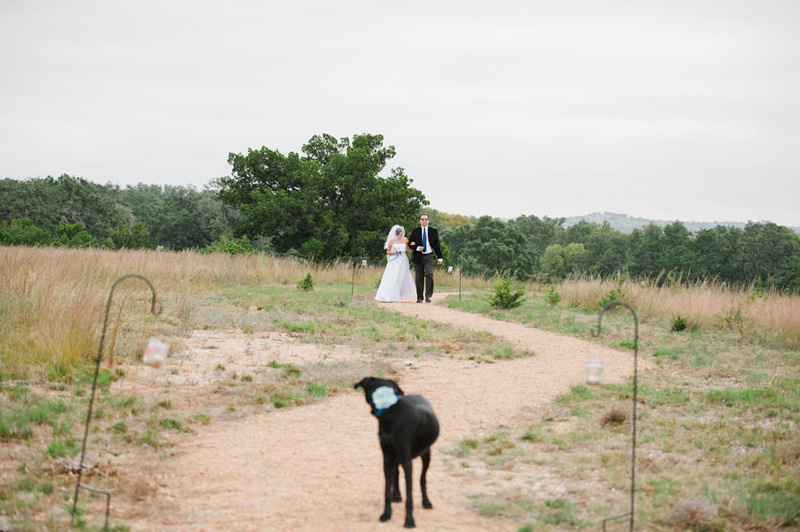 The ceremony had to be paused while people hunted for the rings. So, velcro it down. 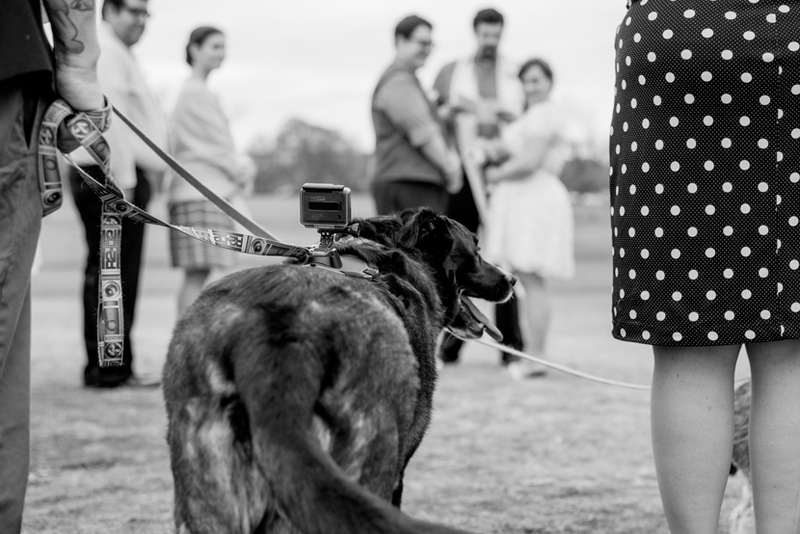 I’ve seen pups with GoPros on their backs too (which is adorable) but I wouldn’t count on that footage. 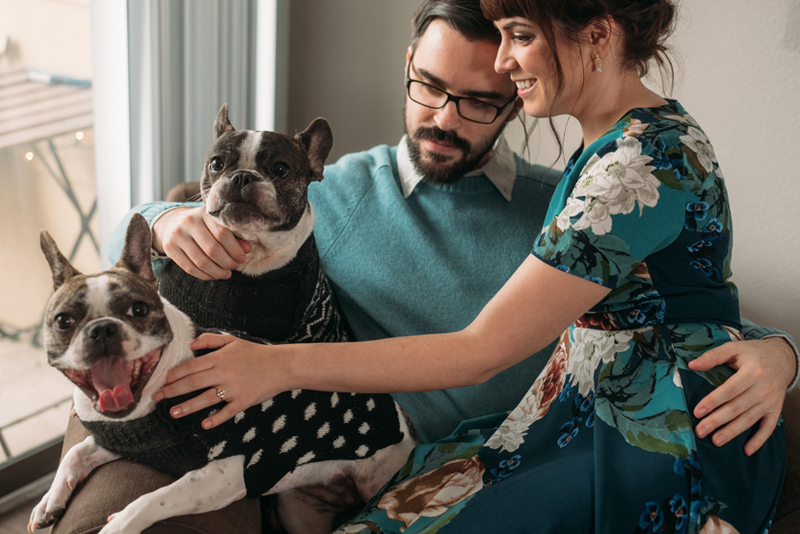 Also, be aware that if your dog is shin-height and a jumper, you might get some unflattering footage of your guests in skirts… ahem. 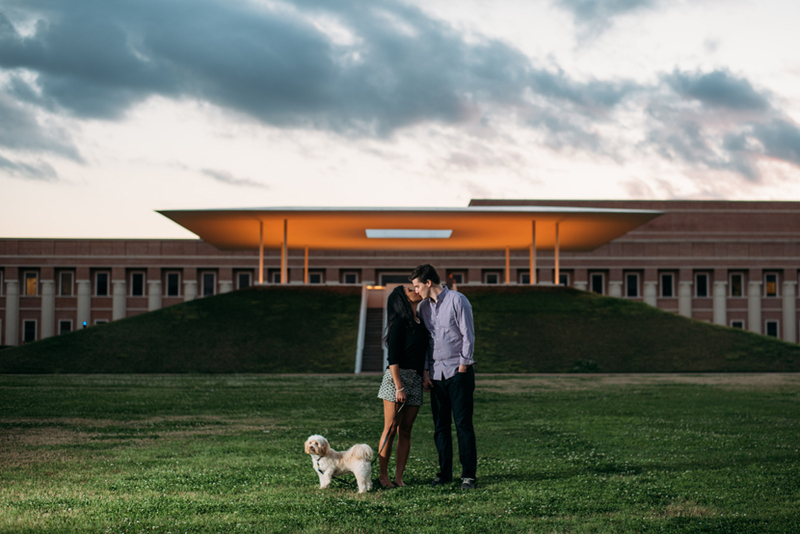 Now, an engagement session is a far different event than a wedding… so I’m not suggesting this for the dog’s benefit; it’s for mine! I want to see how your pet responds to stimuli and how well they obey you when they’re distracted. 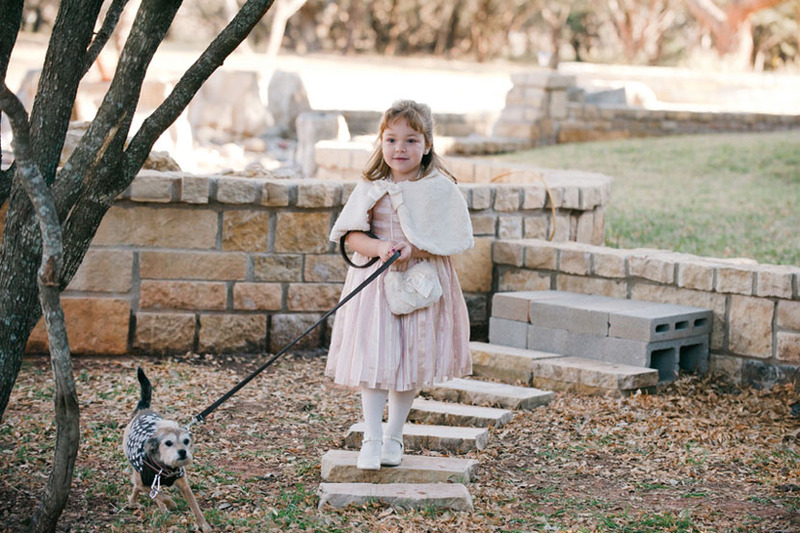 It’s also a good test to see if you really have the energy to keep tabs on your dogs for the time we’re including them in photos. 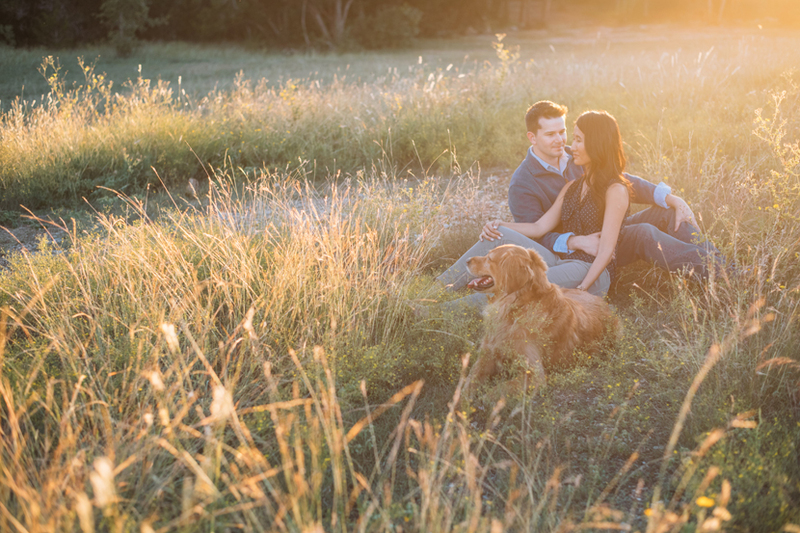 If you realize that it’s just not going to work, at least you’ll have professional photos of them with you in your engagement session. 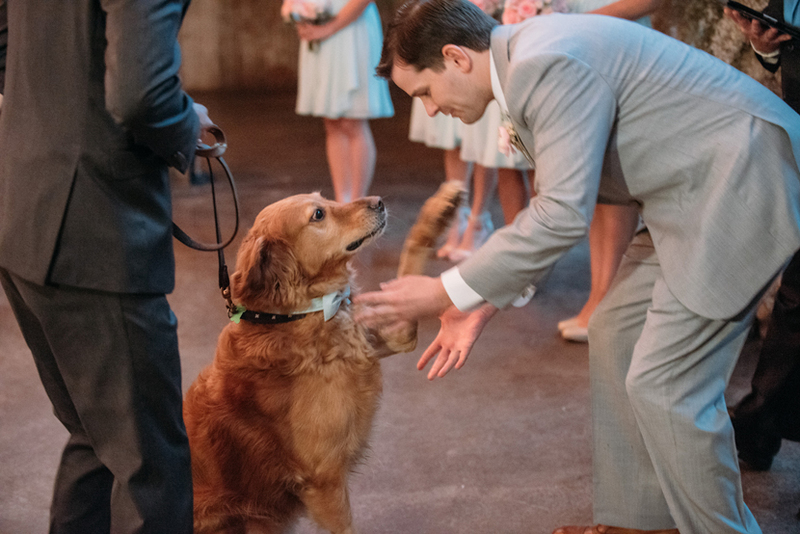 This also works if your venue doesn’t allow for pets, but you really want your dogs included in your wedding in some way. 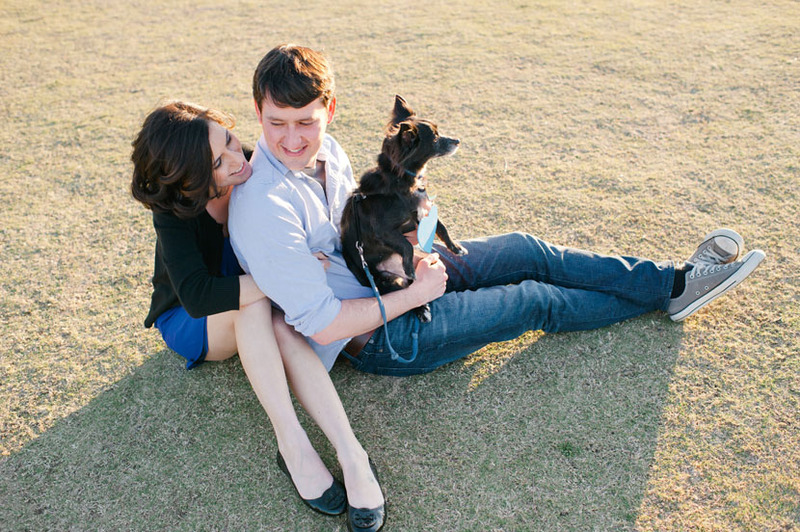 Have them share your wedding date for your save-the-date cards. 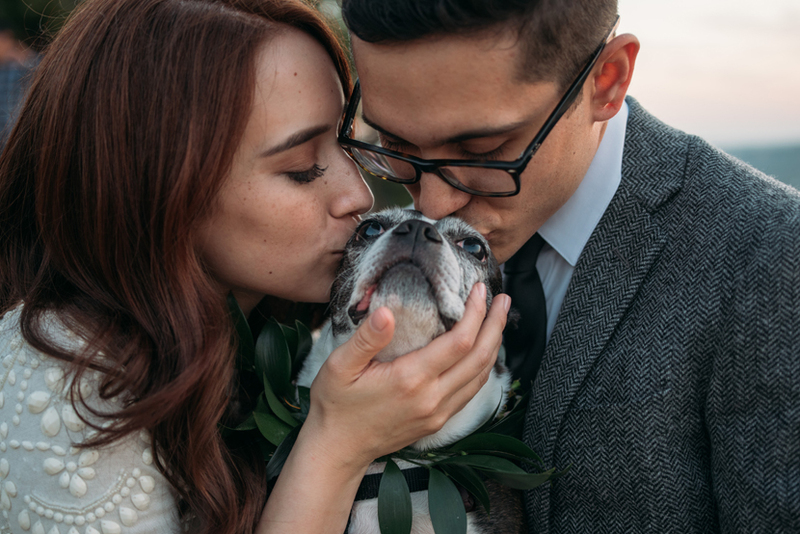 Trust, you are not going to want to deal with the mental energy of keeping tabs on your pups — during your engagement session and certainly not your wedding. 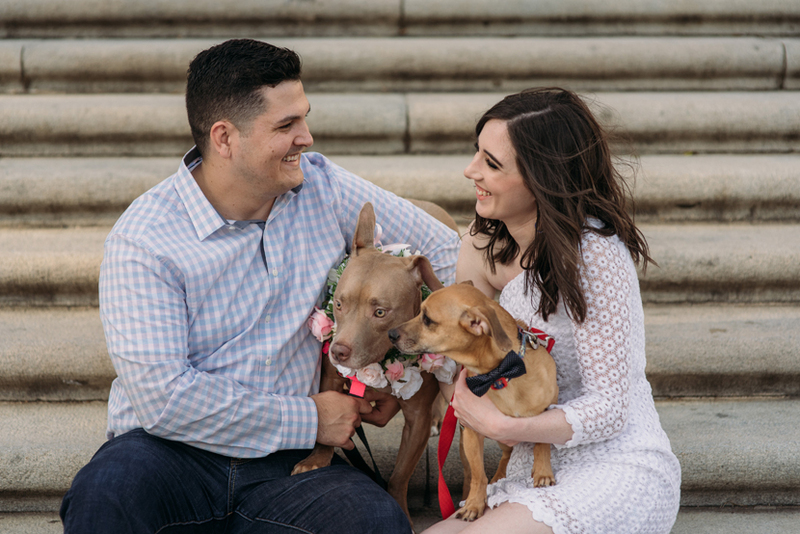 Hire someone or designate a trustworthy friend to hold onto your dogs during both, and give them the means to take them home when photos with them are over. 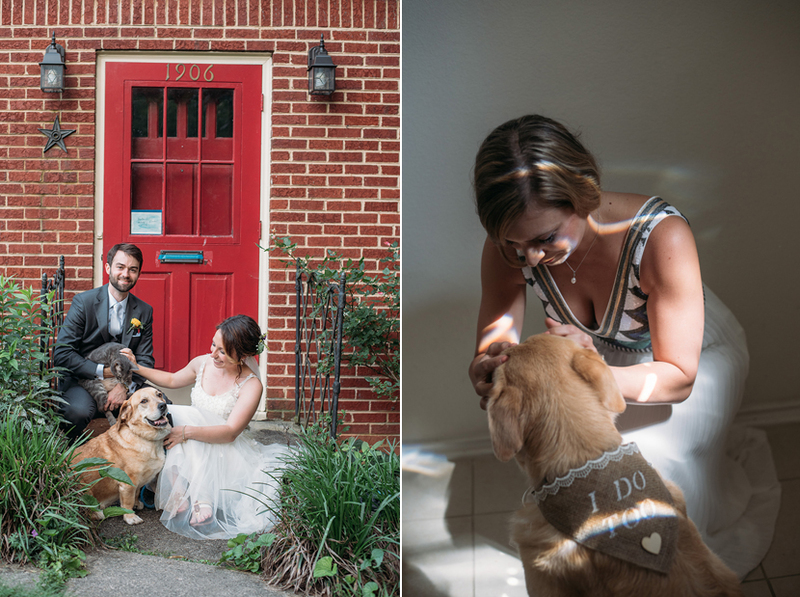 For the most part, my couples bring their dogs to the wedding during the getting-ready, include them in the ceremony, take photos with them after the couple’s portraits (important: because dogs jump and often have muddy paws), and then return them to their home around dinnertime, so that no one has to worry about them during the reception. 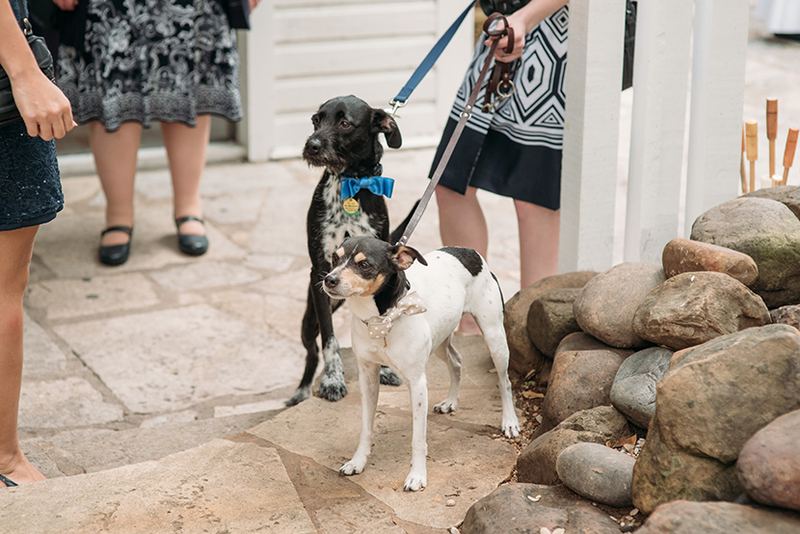 I have had some couples who keep their dogs around all day, but they hired a designated petsitter who did not drink or dance during the reception, to maximize the safety of the dogs. I think it’s up to you how you’d like to go about it. Reminder that photos will take longer with pups, because they tend to look ev. ery. where., so we’ll need to designate extra time for our photos with them! Especially if you’re posing with more than one! And it should probably go without saying, but obviously keep your pups’ comfort in mind as well. 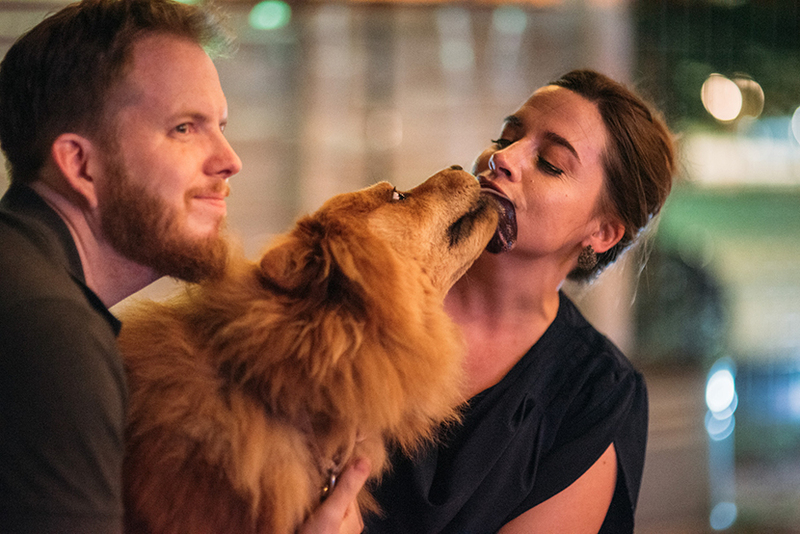 If it’s a really hot day, they get anxious around big crowds after a while, are scared of loud noises but you hired a hoppin’ DJ, I hope you’ll think of having your dogs taken home before they have a freakout. 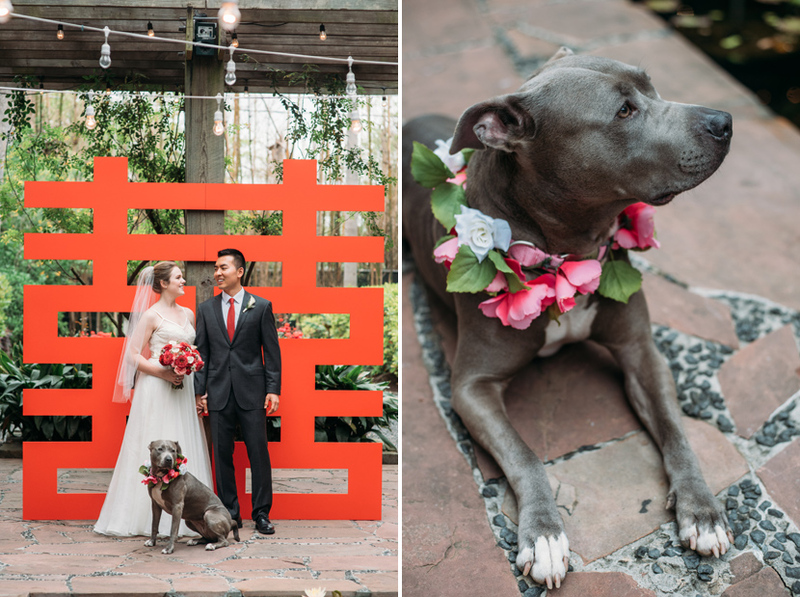 Here are a few more photos of dogs at weddings and sessions, because I can’t get enough.